Durrow Branch Getting A Revamp! 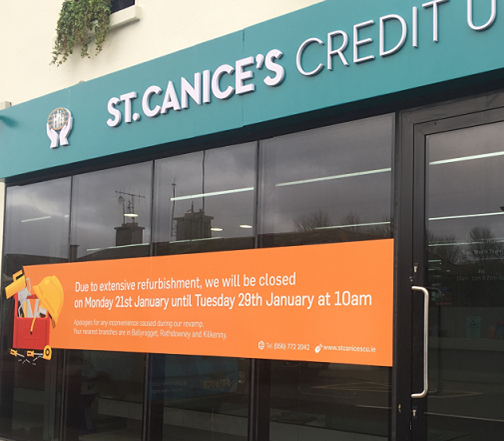 Our branch in Durrow is being upgraded. This means it will be closed for one week to allow for the works to take place, re-opening with its new look on Tuesday morning, 29th January. In the meantime, members can transact in any of our branches, however the nearest ones to Durrow are in Rathdowney, Ballyragget and Kilkenny.